Fax virtualization has never been easier. 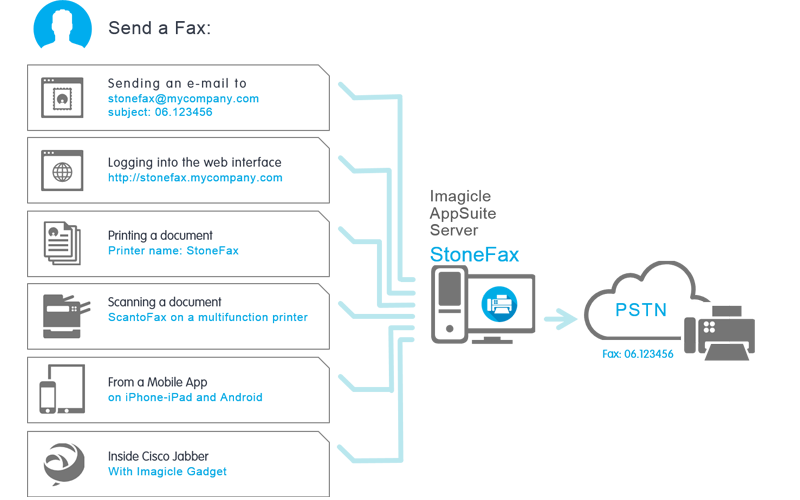 e-mail, web, multifunction printers, in Cisco Jabber and in mobility, on smartphones and tablets. Cisco has chosen StoneFax as its official fax server solution worldwide, and since February 2012, it is available for purchase directly from Cisco GPL in its Solutions+ program.  Lots of sending and receiving options to meet every need, supporting any e-mail client and server. Licensed for modern fax channels, and available for the entire company, even personal (DDI) or group faxes. Access personal, reserved and secure faxes via e-mail and web, or mobile device using secure protocols. 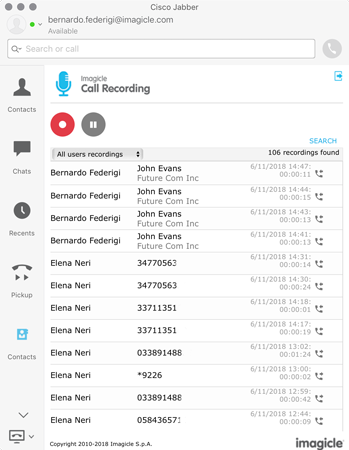 App for iOS and Android devices, integrated in Jabber Desktop, with a wizard for sending and archiving income and outgoing faxes. 90 FoIP channels per instance (physical or virtual) and up to eight instances on the cluster (720 channels). Unlimited users. 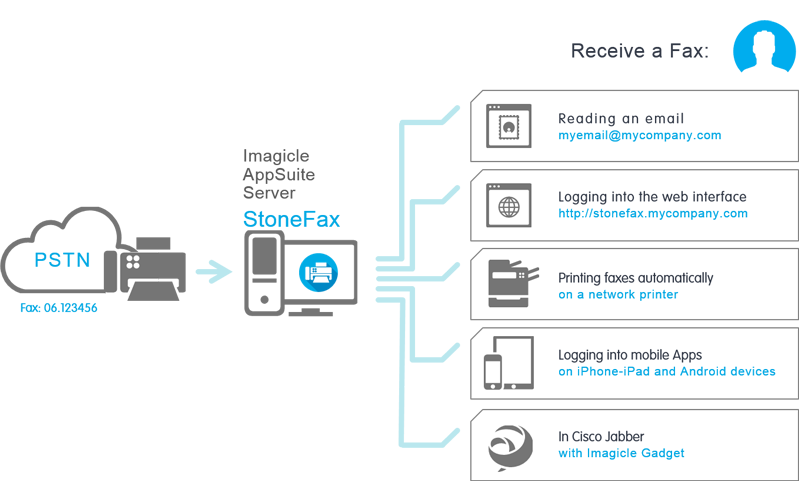 Any browser, any e-mail client, Imagicle Fax for Android and iPhone/iPad, Cisco Jabber Desktop. All fax documents are automatically encrypted and stored in Imagicle Suite server/VM, with optional unencrypted archiving in the external Windows file server. E-mail 2 Fax, Web 2 Fax, Print 2 Fax (from any document or using modern multifunction printers), Scan 2 Fax, gadget for Jabber Desktop for Everyone or Full Edition, free Imagicle Fax mobile app for iOS and Android devices, MFP-network printers. Support for personal and group fax boxes to share while sending faxes. Supports any e-mail server using SMTP(s), IMAP(s) or POP3(s) both on premises (Exchange, Lotus, etc.) and the Cloud (Office365, Gmail, etc.). 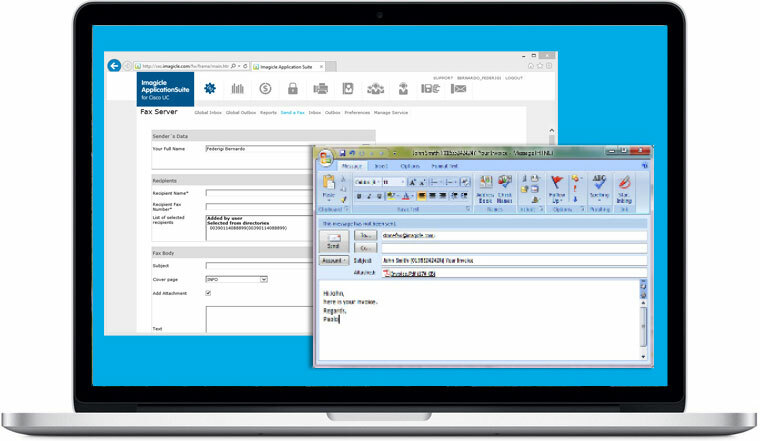 Embedded reporting tool, with email scheduling and configurable CDRs retention, to monitor fax transactions and fax channel use. Speedy Enterprise, for large fax operations. Yes, different UC platforms and connections supported via SIP trunks or PSTN Voice Gateways. 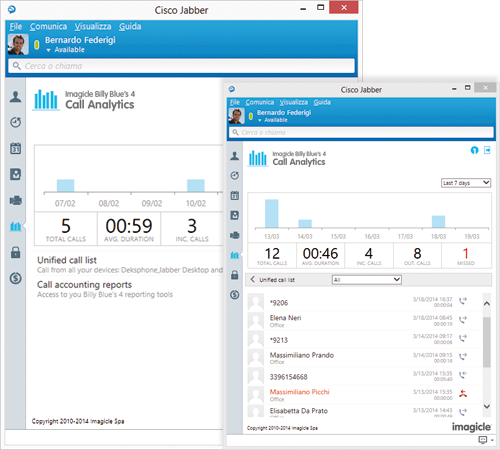 See the pages dedicated to each suite (for Cisco, Cross Platform and Microsoft Skype for Business) for more features such as virtualization, user feeding, security and more. Yes. A single shared e-mail server for all tenants is required in this case. The solution is officially certified with the release 12.0 of Cisco UC, BE6K/7K. Imagicle Fax Server is officially certificated for BroadWorks Platdoms. Today, faxes are still an indispensable tool for any organization, but the days of walking to the fax machine, entering the number, fighting with low toner and paper jams, waiting times and paper archiving, are long gone. 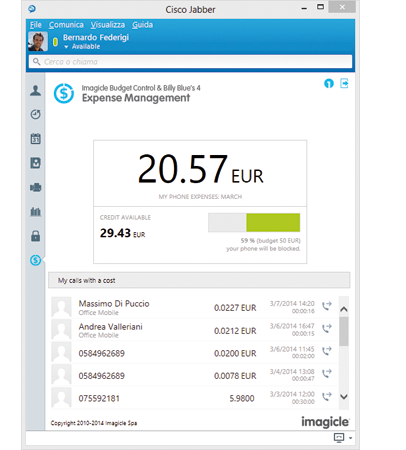 Imagicle's Fax Server lets you eliminate all the waste by sending and receiving faxes virtually. Today, faxes are still an indispensable tool for any organization, but the days of walking to the fax machine, entering the number, fighting with low toner and paper jams, waiting times and paper archiving, are long gone. 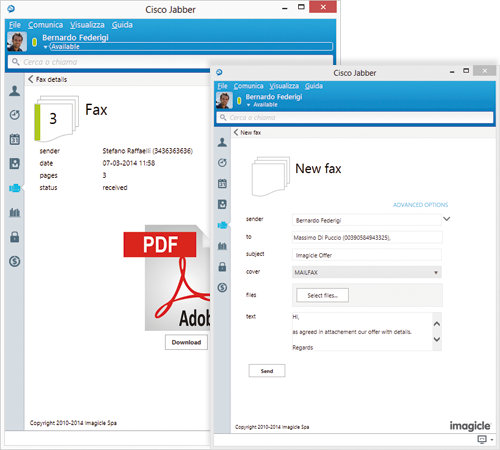 Imagicle's Fax Server lets you eliminate all the waste by sending and receiving faxes virtually. 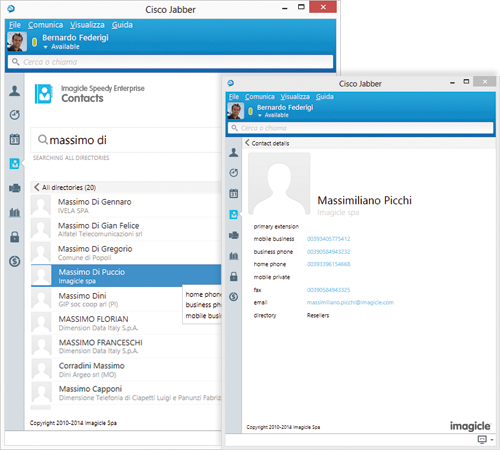 by printing a document or using the new gadget for Jabber. they can continue sending and receiving faxes via the network multifunction printer. 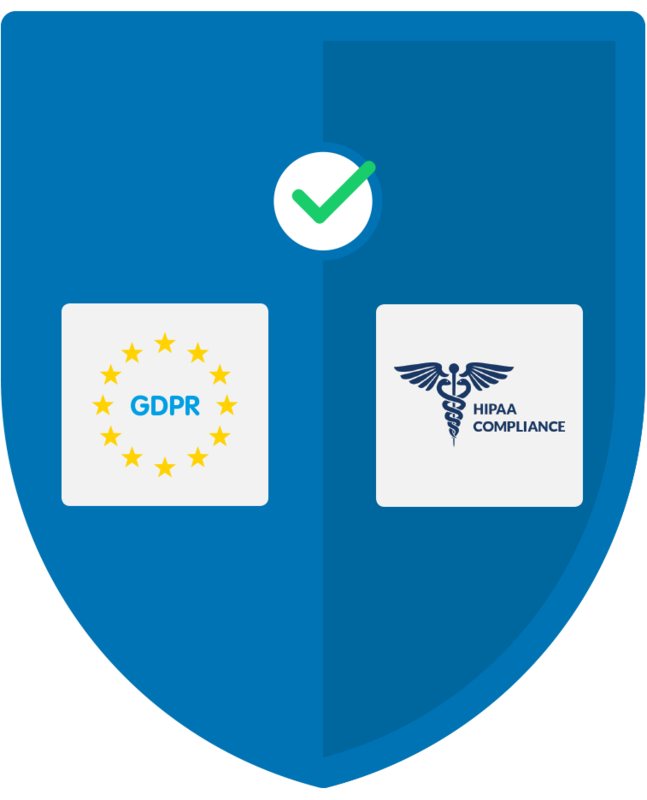 is ready for HIPAA & GDPR. 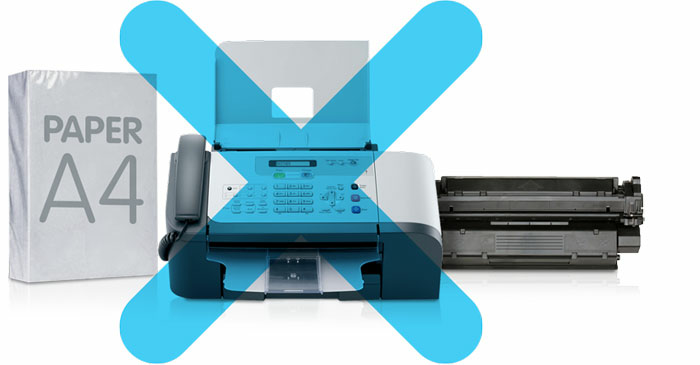 Get rid of your old fax machines. The solution is also available on Cisco GPL. 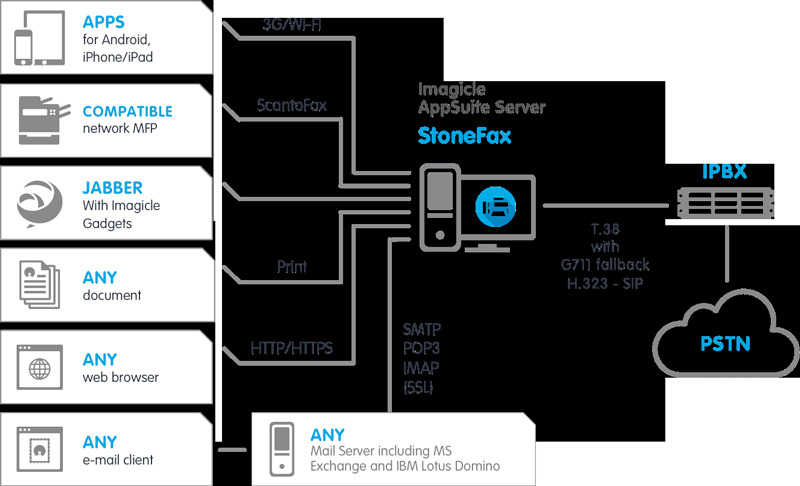 Stonefax drastically changes how you send and receive faxes, but you don't have to learn a thing. So, you can start to work immediatly, using the same tools you always have. It's as easy as printing a document or sending and receiving an e-mail. There's no paper to print and archive, no consumables and no time wasted managing fax machine maintenance. Faster, smarter, easier and greener. 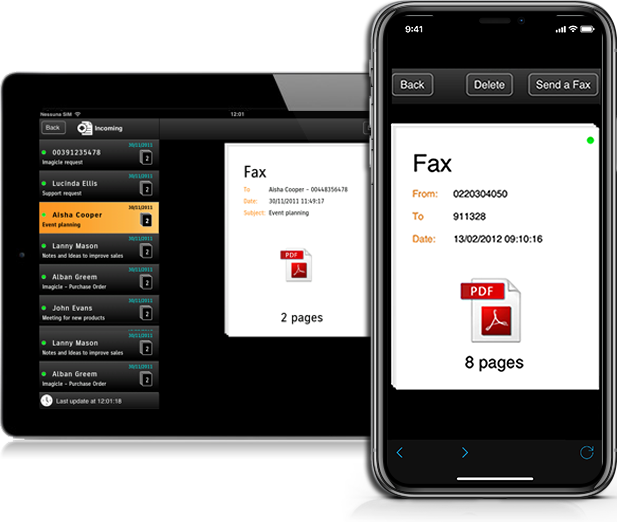 Imagicle Fax is the free StoneFax mobile client solution designed for iPhone-iPad and Android devices, that lets you send and receive faxes from your device anywhere, any time faster, smarter and easier. 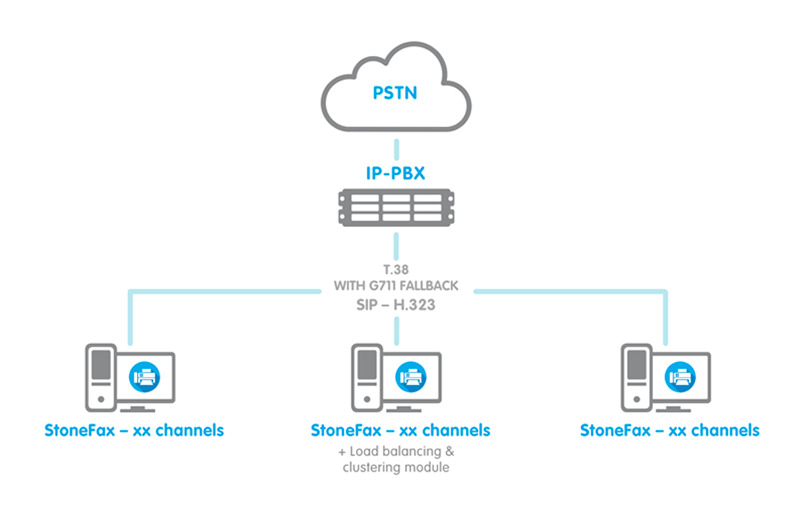 StoneFax uses Cisco UC to send and receive faxes using SIP and T.38 protocols with automatic fall back on g711 pass-through. 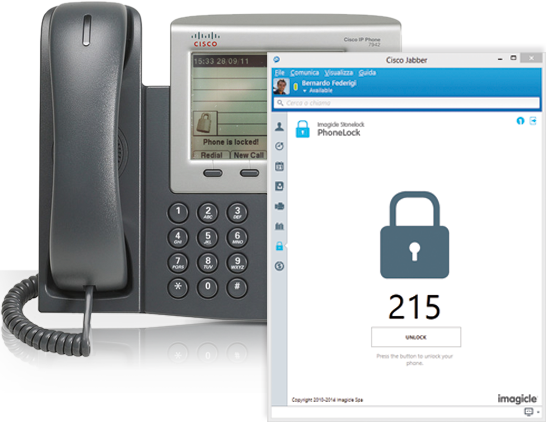 Configured like an ordinary SIP trunk on Cisco UC, with no need for additional licenses. StoneFax automatically manages outgoing queues with retransmission. Supports any case for PSTN access, on H.323, SIP or MGCP gateway or directly via SIP connection with provider servers. 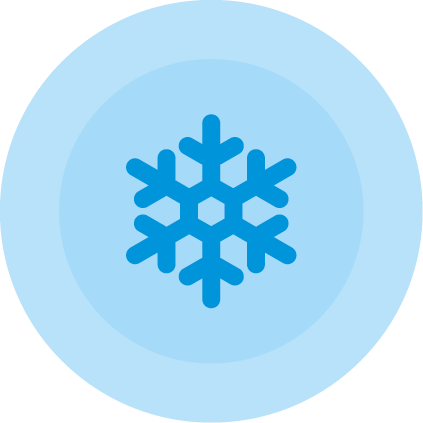 StoneFax becomes a highly reliable solution with the addition of a back-up server to guarantee service continuity with no need for manual interventions (hot redundancy). Can also support hot redundancy with an additional back-up server to guarantee service continuity with no need for manual interventions. Fax services are always guaranteed because the servers are based on auto-synchronized databases that can also work in disaster recovery environments (on a WAN).